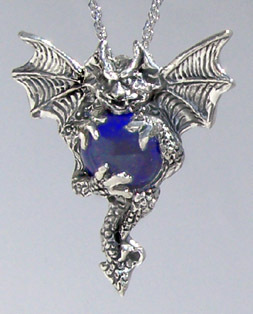 Using all but one back foot this devious gargoyle clutches the glass ball. Every detail shows; the bumby scales covering his body, the spikes down his back, and the fangs in his smile. He is 1 5/8 inches wide and comes on a chain.